Do you like giving unique gifts at the holidays?...ones that family and friends had no idea existed? If you said, "Yes," then I have the perfect gift for you check out. It is the 'Grow Love with Me' by Yoko Ono -- Yes, you read that right, the one and only Yoko Ono, the widow of John Lennon. She recently came out with a magic bean plant that will surely delight kids and adults of all ages this holiday season. Just imagine a sprouting bean plant shedding it shell only to reveal the word "Love" on one side of the bean. On the other side of the bean is a small heart with an arrow going through it. 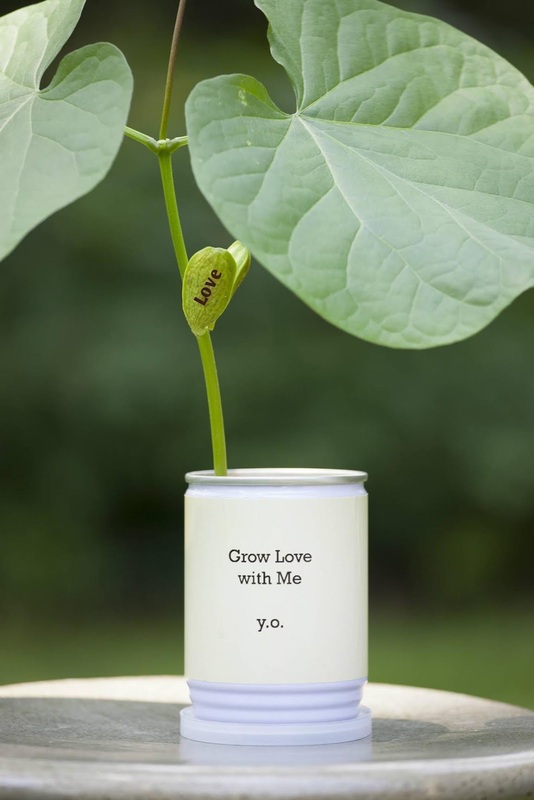 This is what happens when you grow the new Grow Love with Me by Yoko Ono bean plant, available exclusively for her friends at LongHouse. This really is a unique and fun gift! 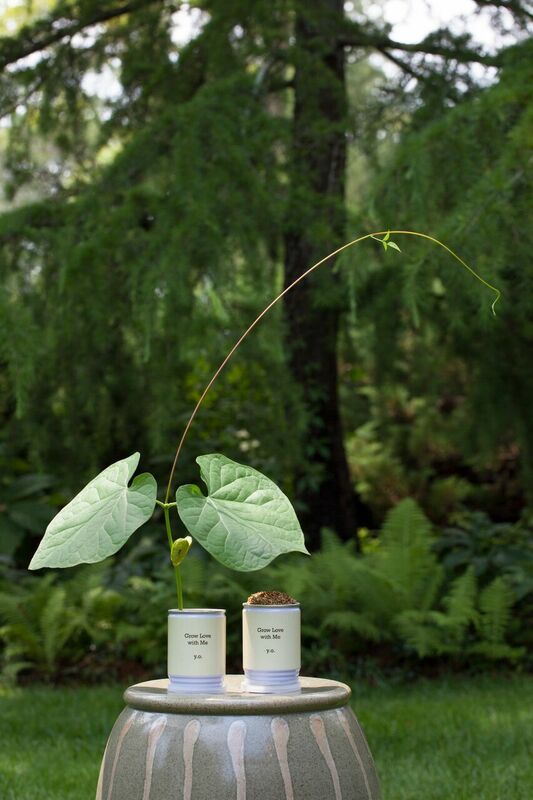 "Because you can never have enough love, Yoko Ono designed this uplifting and magical bean plant for her friends at LongHouse. Yoko Ono really means well, and the design is beautiful!